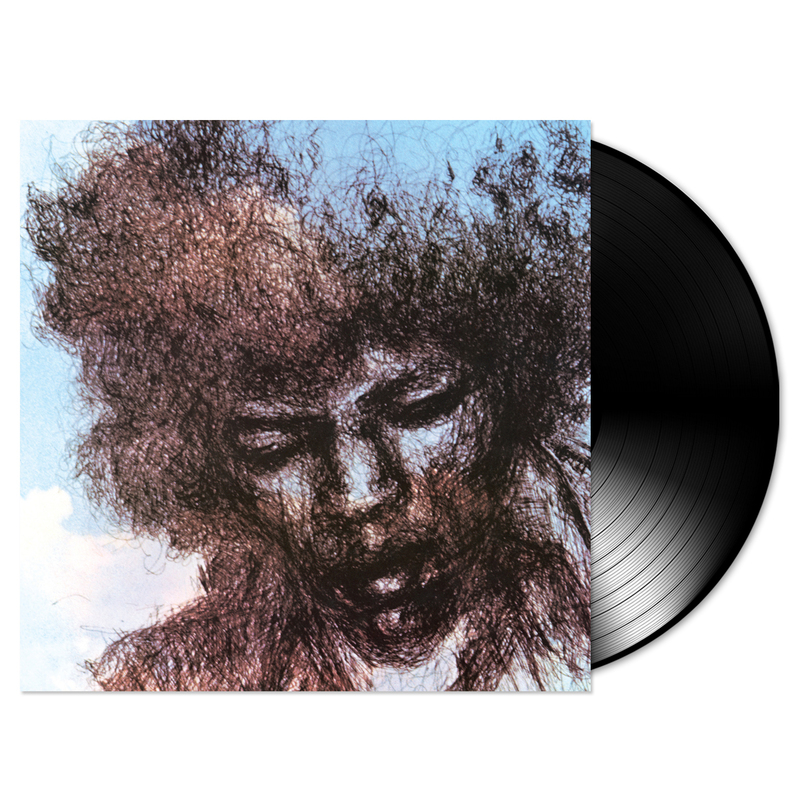 Originally released in 1971, The Cry Of Love was compiled and mixed by Hendrix’s longtime engineer Eddie Kramer and Experience drummer Mitch Mitchell. The bulk of these tracks were recorded between December 1969 and the summer of 1970 at Electric Lady Studios in New York, and were intended to be part of an ambitious double LP tentatively titled First Rays of the New Rising Sun. Commercially, The Cry Of Love was a huge success, reaching #3 in the U.S. and #2 in the UK, and spawned favorites such as “Angel,” “Freedom,” and “Ezy Ryder.” While Mitch Mitchell and bassist Billy Cox comprised the rhythm section on the lion’s share of the tracks, Buddy Miles played drums on “Ezy Ryder” and Noel Redding played bass on “My Friend” (recorded in 1968, before his departure from the Jimi Hendrix Experience). The Cry Of Love also includes the participation of notable guest musicians including Steve Winwood, Chris Wood and Buzzy Linhart among others. VH1 recently declared The Cry Of Love the greatest posthumous classic rock record of all time. Beginning in the late 1990s, the tracks on The Cry Of Love and Rainbow Bridge were reassembled into various compilations, including First Rays of the New Rising Sun, South Saturn Delta, and The Jimi Hendrix Experience box set. Now, fans of all ages will be able to enjoy songs such as “Straight Ahead,” “Nightbird Flying,” and “Hey Baby (New Rising Sun)” as they were experienced when they first became available 43 years ago.